Montevideo, Uruguay. This is the Plaza Independiencia that I pass through many times a day as it is between the school and my homestay. 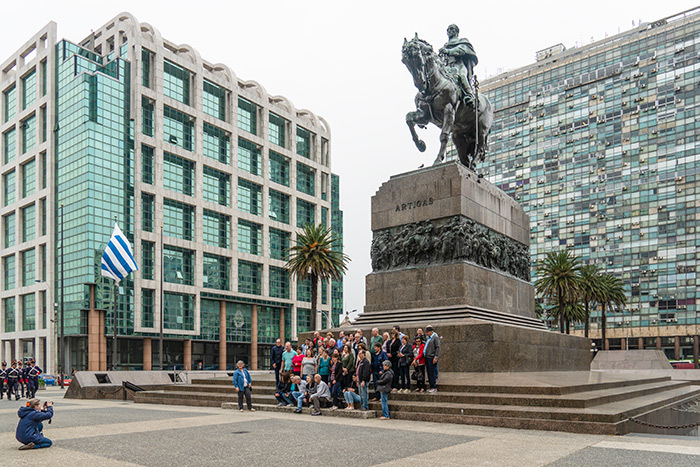 The statue is of José Gervasio Artigas Arnal (1764 – 1850) a national hero of Uruguay, sometimes called "the father of Uruguayan nationhood", and a grand mausoleum is below which I'll visit at some point.